As CompGeek Siblings, David and I grew up watching Saturday morning cartoons together, especially X-Men. Personally I’ve been incredibly happy with the First Class movies (more so than I was with the first trilogy; as much as I love some of the actors, the second two movies fell a bit flat for me) and so I was really excited to see the first trailer for Apocalypse. The first two movies were fantastically done, and some of the new faces in this one have me super stoked (Sophie Turner as Jean Grey? Olivia Munn as Psylocke? Eeee!) I can’t wait for this to come out! Thoughts? Are you as excited for this upcoming X-Men film? 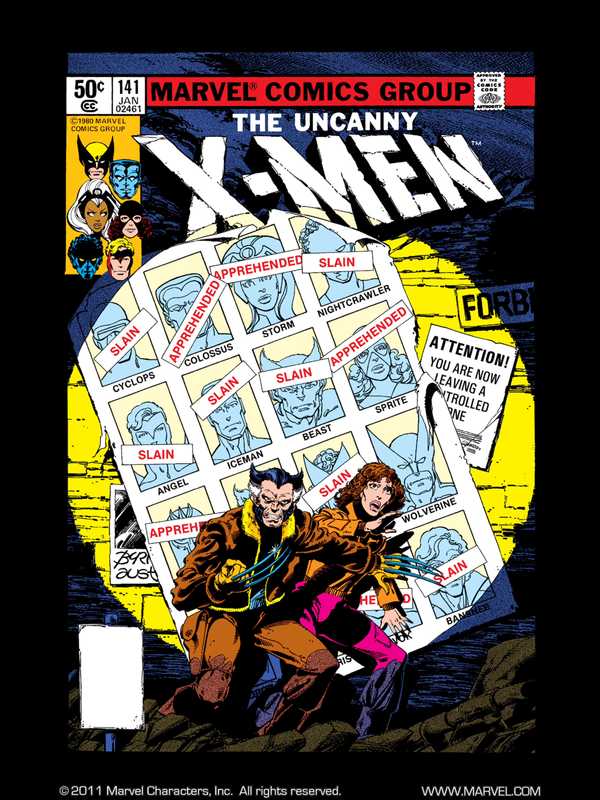 Cover from Uncanny X-Men #139… 2 issues before Days of Future Past. One of the more iconic lines from X-Men lore. I wanted to close out my week of looking at X-Men: Days of Future Past by looking at one of the biggest changes: the role of Kitty Pryde. She’s come up in my look at the mutant character adaptations, and of course in the LitFlix comparing the film to the comic source. 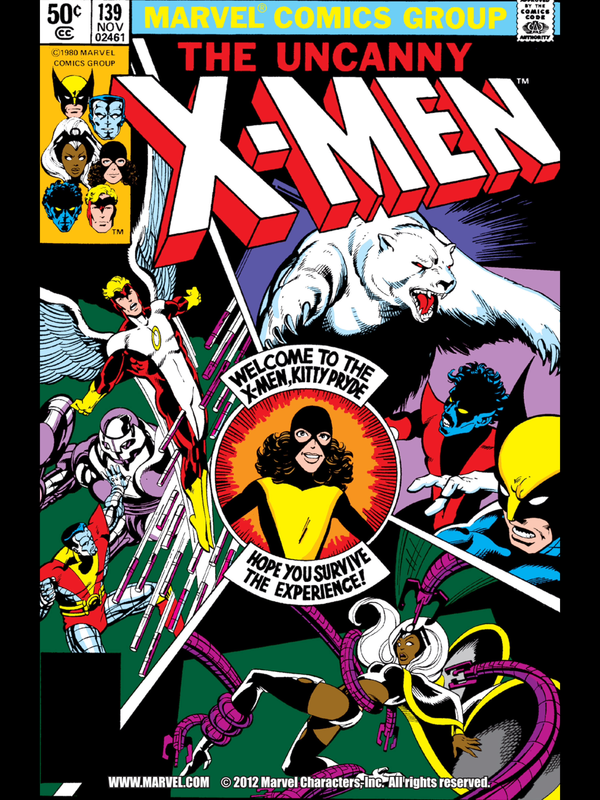 A quick breakdown of how she was used: in the comics, Kitty Pryde travels back in time into the consciousness of her younger self, a new member of the X-Men, to warn of the apocalyptic future. She goes from being brand-new character, to being one that you know has a future and a purpose and immense power. So there were three elements of this that they had to try to adapt into the film: the time travel, and its method; the traveler, Kitty Pryde; and the impending doom of the future. The movie accomplishes two of these three, but loses Kitty Pryde in the process. Now, I don’t see a way to hit all three and work within the movie continuity, but let’s explore some of the problems and options! One of the greatest covers in all of comics. Days of Future Past. Uncanny X-Men 141. There’s plenty that could be said about X-Men:Days of Future Past. That’s why I’ve been highlighting it on our Tumblr this week, and am writing multiple posts about it. Expect another on Friday, focused on Kitty Pryde. That means the goal for me tonight is simply to focus on our LitFlix style: comparing the movie to the comics. These comics are some of the X-Men’s finest, and come in at an astounding 2 comics. That’s it. For as enduring an idea and a storyline as it was, for as many characters and situations as it opened up, it accomplished an amazing amount in a short amount of time. The movie goes both bigger than this, and smaller. It’s a time travel story, set both in a dystopian future and what is now decades past. The movie makes the future big, with no holds barred. The past, meanwhile, is pared down to only a few characters, and spends a lot of time going in-depth into their souls. Quick review? Great comics, read them, no question. Great movie, go see it, and enjoy. Spoilers to follow for both! After my LitFlix of Amazing Spider-Man 2 yesterday, I wanted a bit of time before writing my next one on X-Men: Days of Future Past. However, I have a lot to say about this movie (well, I had a lot to say about Amazing Spider-Man 2 as well…) and so I am breaking it up into three posts. So consider this my X-Men: Days of Future Past week! 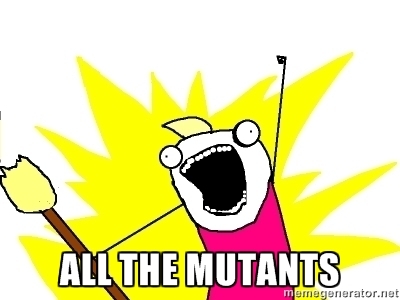 I have X-Men related posts queued up all week on our Tumblr as well, so check them out! Despite having a lot of known characters used again, there were a lot of new characters in the film as well. While they weren’t exactly pivotal to the plot, they were phenomenal additions, given a chance to use their powers, to have great scenes, and made for a really fun summer blockbuster.